Lake Placid is a great winter sports destination, although the scenery of this High Peak region and amongst the Adirondack mountain range makes for a spectacular holiday at any time of year. 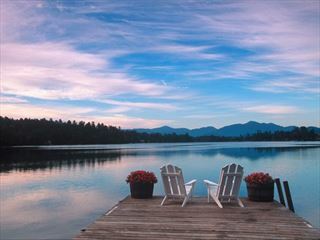 Holiday makers often head straight for the thrills and adventure that the Lake Placid region offers; you can choose from a variety of winter activities, skiing & riding, sledding, tubing, ice climbing & more. Equally the area offers good back country trail hiking. The region boasts the East coasts’ greatest vertical, Whiteface Mountain although the area is perhaps more famous for the 86 ski trails and the variety of terrain on the mountain for the entire family to enjoy. There are many waterfalls and lakes (don’t miss Mirror Lake) which freeze in winter, providing good snow-shoeing and ice climbing. You might even try ice-fishing and catch your supper! 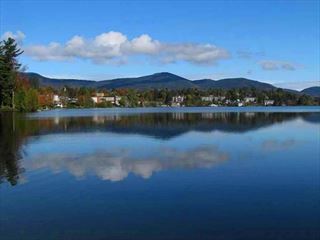 During summertime play a round on some of the beautiful Lake Placid golf courses—the region boasts 13 including five signature championship layouts. In the evening relax and enjoy dining in one of the many local eateries which offer a wide variety of food – entertainment is of a family nature and there is always lots going on.